It may be hard to imagine, but there was time before Coke was the “real thing” much less the world’s most popular soft drink. 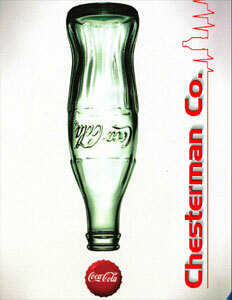 In fact, when Cilo Chesterman founded his bottling company in 1872, in Dyersville, Iowa, Coca-cola didn’t even exist. At that time, several decades after soda water was first introduced into the United States, and almost a century after English chemist, Joseph Priestly, invented the bubbling concoction by infusing carbon dioxide into water, the prevailing soft drink tastes ran from plain club soda, also known as mineral water, to root beer, sarsaparilla, and ginger ale. The Chesterman Company, now 143 years old, also grew along with America’s changing tastes and growing fortunes. 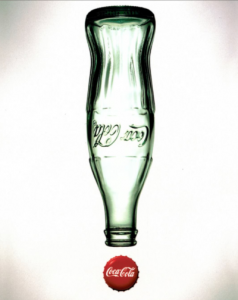 In addition to Coca-Cola, it now distributes several different brands of carbonated soft drinks, as well as coffee, juice, tea, water, and energy and sports drinks. 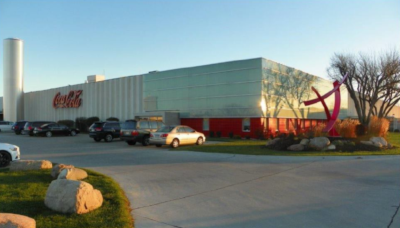 It also owns Premium Food and Beverage, a full-line vending company that offers beverage and snack products from name brands such as Frito Lay, Mars, and Hershey, as well as products from some local area companies. Because the distribution system is built around assigned territories, Chesterman admits that it’s difficult for his company to expand without acquiring other existing bottling enterprises. “We always want to pose ourselves for growth, but with such set territories, it’s kind of hard to grow unless somebody wants to sell.” At present, the company has submitted a letter of intent to take over a territory that includes Omaha, Lincoln, Grand Island, North Platte, and Long Pine, Nebraska. 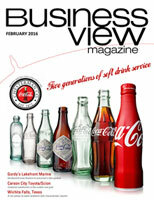 “Before 2011, most of the distribution in the U.S. was done through Coca-Cola Enterprises (CCE). In 2011, the Coca-Cola Company bought CCE, so they’re now running those operations,” Chesterman says. (The renamed company is the aforementioned Coca-Cola Refreshments.) “They have a number of different reasons why they want to turn that territory back over to existing bottlers,” he adds. Chesterman is hoping that his company will get the nod, and with its long-standing history in the Midwest, its chances are good. Meanwhile, Chesterman and his brother continue to run the Coke side of the business, while their father, Cy W. Chesterman, runs Premium Waters. In carrying on the family tradition, Jay Chesterman says that the company’s long-standing goals include making operations more efficient while trying to do right by his customers, his employees, who he views as the company’s greatest asset, and his community. “We get out of bed and go to work, every day – that’s kind of how you get that done,” he quips. No doubt, great, great, great Grandpa Cilo would have agreed.